Chicago Hoped To Generate Millions With Expensive City Sticker Tickets. It Didn&apos;t Work. Chicago Hoped To Generate Millions With Expensive City Sticker Tickets. The increase, approved unanimously by the City Council, was pitched by Mendoza as an alternative to raising the price of stickers as well as generating much-needed revenue from "scofflaws." That did not happen. The increase has brought in a just few million dollars more a year, while it’s unclear if it led to greater compliance. Sticker sales have been largely stagnant. But increasing the price of sticker tickets came at a devastating cost for thousands of Chicago’s poorest residents, particularly those from African-American neighborhoods, according to an investigation by WBEZ and ProPublica Illinois. The penalty increase – coupled with a pattern of racial disparities in sticker ticketing – has exacerbated a uniquely Chicago phenomenon: thousands of mostly black drivers filing for bankruptcy to cope with ticket debt. The mayor’s office did not respond to questions about how the fine increase affects black residents. Instead, in a statement, a spokesman for Emanuel said the finance department "is always reviewing enforcement and collection. That&apos;s in part what drove this administration to create new payment plans to make it easier for residents to pay off tickets." Mendoza, meanwhile, expressed regret over her role in increasing the cost of sticker tickets at the expense of low-income black Chicagoans. Now state comptroller, she said the city should "revisit" the ticket prices and consider forgiving drivers’ ticket debt once they come into compliance with the sticker requirement. "Obviously, it doesn&apos;t make sense to just give tickets and tickets and tickets to people who can&apos;t afford to pay," said Mendoza. "It&apos;s important that we see what the consequences of policies are … Sometimes they’re terrible." The decision to raise the fine was framed publicly as a way to pass the burden of paying for pothole repairs — which, along with other street maintenance, are financed with revenue from sticker sales — from " soccer moms" who drive large vehicles to " scofflaws" who don’t buy stickers or purchase them late. He also proposed raising the cost of Chicago’s wheel tax — what’s known colloquially as the "city sticker" — for some large passenger vehicles from $75 to $135 per year. Heavier vehicles already paid more. She suggested instead that the city raise penalties for sticker "scofflaws." Aldermen applauded her strategy and the Emanuel administration went along. The increase was included in the broader vote on the city budget, which the City Council unanimously approved. A lawsuit filed against the city last week alleges that these penalties exceed a state cap of $250. 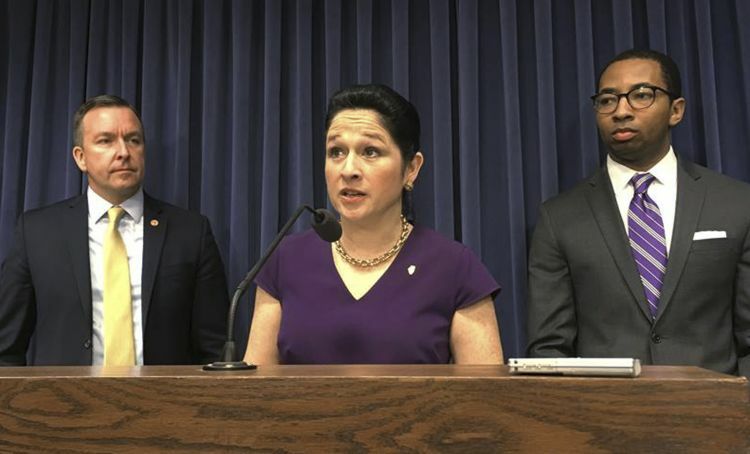 City officials have not responded to the suit, but have indicated that they will use Chicago’s "home rule" authority — a privilege that allows large cities to set their own taxes and fines — as a defense. Kristen Cabanban, a finance department spokeswoman, said in a statement that hiking ticket prices was meant to "serve as a deterrent for scofflaws" and an incentive for motorists to purchase stickers. In an interview, Mendoza said the final sticker ticket price "was based on the fact that the increase in the sticker itself would be marginal and that the money would be made up more so on the noncompliance side. They needed to come up with the revenues for the city at that time to fill that budget hole." "If we were to increase that fee [to], say, $200, that would give you $16 million there, without having to ask a single person who is in compliance today to give us more," Mendoza said. "Let&apos;s go after the other folks." Cabanban said the increase in bankruptcy filings is "largely due to a small number of bankruptcy law firms selling Chapter 13 as the cheap and easy way to get out of having to pay the city debt, while those firms almost never deliver on that promise." "Early enrollment in the City’s payment plan, where fines, penalties and accrued interest can be avoided, is open to all motorists - even those who have only received one ticket," Cabanban said. "Do I have the ability to comb through that budget and look through every fee? No," he said. "Obviously we’re trying to balance the budget. But at the same time, we have to make sure we’re balancing it in a manner that’s not breaking people’s backs." ProPublica Illinois reporting fellow Jerrel Floyd, news application development fellow Katlyn Alo and news applications developer David Eads contributed to this story. Melissa Sanchez is a reporter for ProPublica Illinois. Elliott Ramos is a digital editor for WBEZ.